The countries of the United Nations Economic Commission for Europe (UNECE) face challenges in the housing sector that directly impact their citizens’ quality of life and the environment. Desiring to assist them, the UNECE Committee on Housing and Land Management agreed on the text of a Charter on Sustainable Housing at its annual session on 8 October. Today, the housing sector is facing enormous challenges. Increased urban sprawl has reduced the land available for other uses. Uncontrolled urbanization has created or expanded informal settlements whose residents may lack security of tenure, infrastructure, water, sanitation and other public services. Climate change and natural disasters have caused economic and social losses and affected people’s lives and assets. There is limited access to housing and, in particular, to affordable housing of adequate quality for vulnerable groups such as the young and the elderly. The Charter on Sustainable Housing supports policies and actions and encourages international cooperation at all levels. Just as importantly, it also represents a commitment by UNECE member States to address these issues and provides clear guidelines and benchmarks for assessing progress. The backbone of the Charter is its four principles: environmental protection; economic security; social inclusion and participation; and cultural identity. 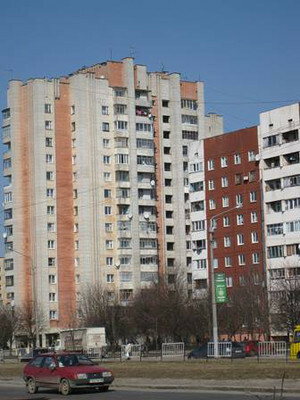 These four principles are intended to support a housing sector in the UNECE region that is focused on: promoting environmental sustainability; being the foundation of a vibrant economy; increasing access to decent, adequate, affordable and healthy housing; and better meeting the needs of all citizens, including the vulnerable. The UNECE also expects the Charter to be an important tool to support implementation of the relevant Sustainable Development Goal (SDGs) on cities and human settlements that the UN is expected to adopt in 2015. According to the Ms. Elena Szolgayovà, who is Director General, for Housing Policy and Urban Development in Slovakia and chairperson of the Committee on Housing and Land Management, “The Charter is a practical contribution to the post-2015 development agenda, as it provides a blueprint to better living conditions, reduced emissions and environmental impact and fairer societies”. The Charter will now be forwarded into the process for approval by the United Nations Economic Commission for Europe at its April 2015 bi-annual session.